The Jurassic Park movies are classics that will never get too old. Families will be watching them for years into the future. They don't date themselves. The Jurassic Park helicopter converts to a hover craft in over 25 building combinations. Capture the tyrannosaurus rex and gather up the treasures that he is guarding. 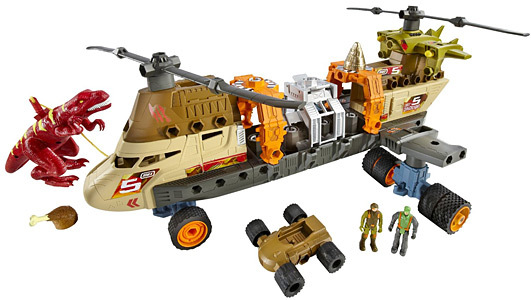 Multiple different land and air vehicles can be constructed from this set which comes with claw, propeller, winch, launcher, dart, satellite, mini boat, dinosaur transportation clamps, safari action figure, and dinosaur.